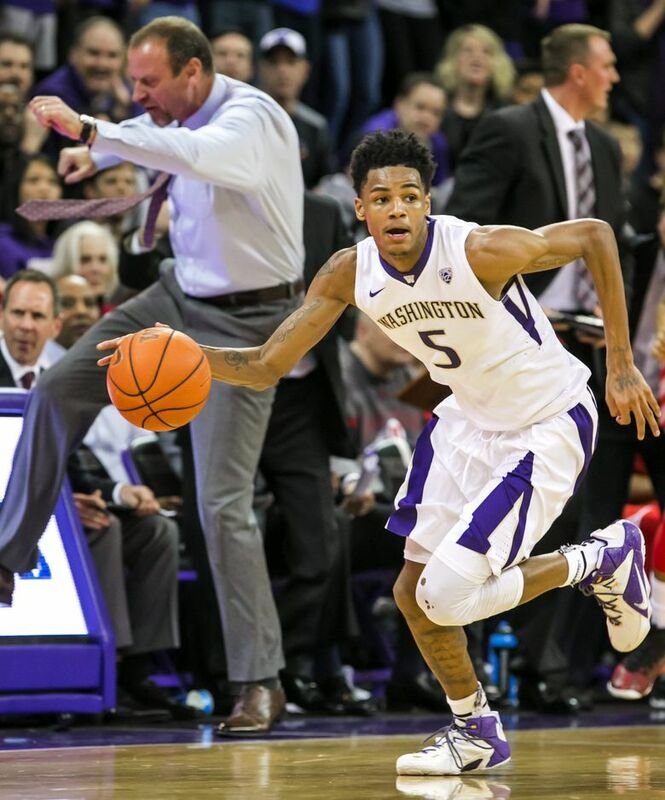 Opting for the NBA draft instead of staying on Montlake, Dejounte Murray joins projected No. 1 NBA draft pick Ben Simmons with the Cleveland-based agency. Nearly a week after announcing he would enter the NBA draft, Dejounte Murray signed with Cleveland-based Klutch Sports Group and agent Rich Paul. The company’s biggest client is LeBron James who helped start the business with long-time friend Paul. Murray posted a picture with the Cavaliers star on his Instagram page with the caption that read: Lets Work Big Homie. Paul also snagged perhaps the biggest prize among the draft hopefuls in Ben Simmons, who is projected as the No. 1 overall pick after spending one season at LSU. Klutch Sports Group also represents John Wall, Tristan Thompson, Eric Bledsoe and Norris Cole. Signing with an agent effectively ends Murray’s NCAA eligibility. The 6-foot-4 guard averaged 16.1 points, 6.0 rebounds, 4.3 assists and 1.8 steals. He’s projected as a first or second-rounder in many mock drafts. NBAdraft.net projects Murray will be taken 10th overall by Orlando. Draft Express predicts he’ll be the 34th overall pick (fourth in second round) and chosen by the Los Angeles Clippers. Meanwhile, ESPN’s Chad Ford ranks Murray as the fourth best point guard in the draft and the 21st rated prospect.